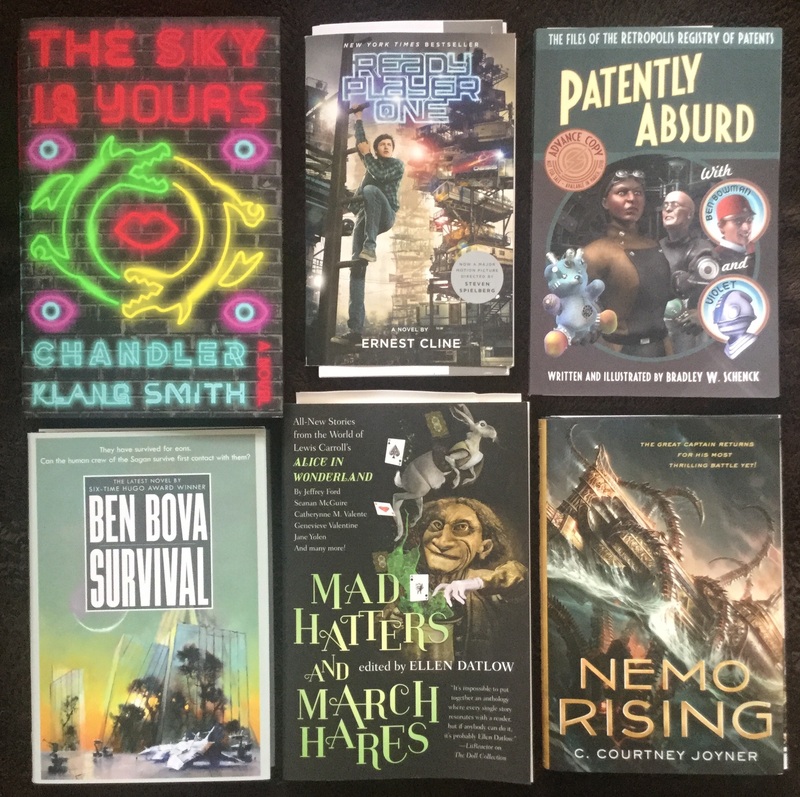 Happy new year and welcome to the first Bookshelf Roundup of 2018! In other news, I am already so behind on my reading. Hopefully it won’t take me too long to get back into the rhythm; January kicks off with a ton of new releases, and it only gets better from here. With thanks to Hogarth/Crown Publishing for sending me a finished copy of The Sky is Yours by Chandler Klang Smith. I’m hoping to start the book this weekend, and the excitement they’ve drummed up for this is really catching. And that’s not it – Crown also sent along the movie tie-in edition to Ready Player One by Ernest Cline. It’s one of my favorite books ever and words cannot describe how much I’m looking forward to see the movie. Patently Absurd by Bradley W. Schenck is a collection of six short stories complete with illustrations from the same author as the retro-style sci-fi novel I read last year, Slaves of the Switchboard of Doom. So when Bradley contacted me just before the end of the last year offering an opportunity to review this anthology, I very enthusiastically accepted! 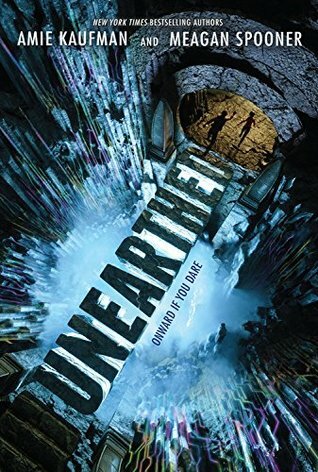 Thank you to Radio Planet Books for sending me an ARC. Next up comes a trio of finished copies from Tor Books: Survival by Ben Bova is third book of Star Quest, wrapping up a trilogy (unfortunately, I have not read the first two books); Mad Hatters and March Hares edited by Ellen Datlow is described as a collection of weird tales inspired by Lewis Carroll’s Alice’s Adventures in Wonderland; and Nemo Rising by C. Courtney Joyner is a sort-of sequel to Jules Verne’s 20,000 Leagues Under the Sea, continuing the adventures of Captain Nemo. I’ve been seeing some mixed reviews, but out of these three surprise arrivals I think this last one interests me the most! On to the digital haul, my thanks to Harper Voyager for the following e-galleys: Blood of the Four by Christopher Golden and Tim Lebbon is an epic dark fantasy novel which looks to have potential, given the big names behind this collaboration, and The Feed by Nick Clark Windo is a post-apocalyptic novel that explores the future of humanity in a technology saturated world. With thanks to Penguin Random House Audio I also received a couple of audio review copies. First of these is The Defiant by Lesley Livingston. I’ve already listened to this one and I loved it! It might even be better than the first book. Keep an eye out for my review sometime next week. 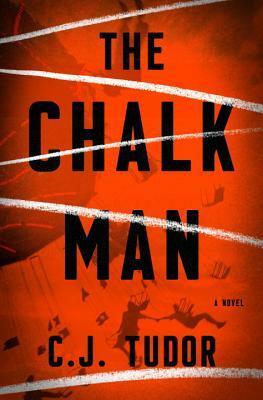 I’ve also resolved to read more in the thriller-mystery genre this year, which is why I also downloaded The Chalkman by C.J. Tudor, a psychological suspense thriller about a group of boys in the 80’s who are led to a dismembered body by a trail of little chalk stick men. Now grown, their past have come back to haunt them when each of them receive a single chalk figure in the mail. Sounds creepy. 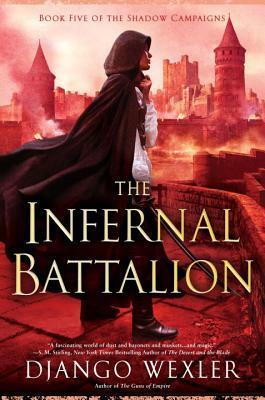 And with a new year comes new novellas from Tor.com! Thank you to the publisher for the following eARCs. 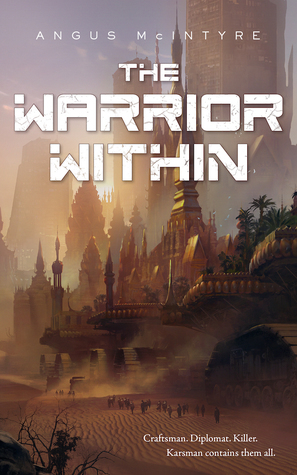 The Warrior Within by Angus McIntyre is a debut science fiction adventure about a man who lives with the personalities of multiple people in his head, each a master of a different set of skills. 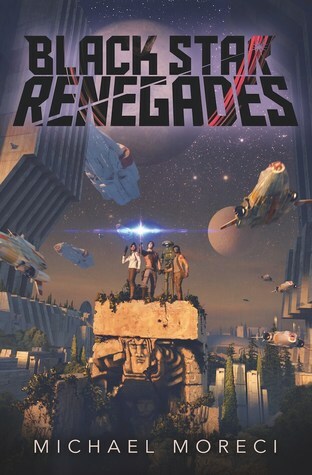 This does remind me a lot of Brandon Sanderson’s Legion, but we’ll see how this book handles the concept. 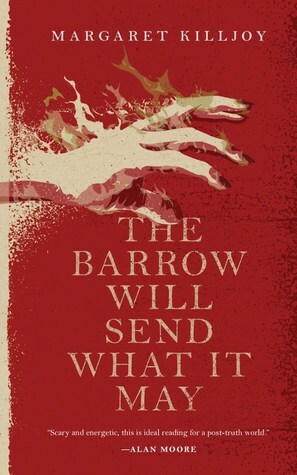 The Barrow Will Send What It May by Margaret Killjoy is book two of the anarcho-punk fantasy series Danielle Cain, which began last summer with The Lamb Will Slaughter the Lion. 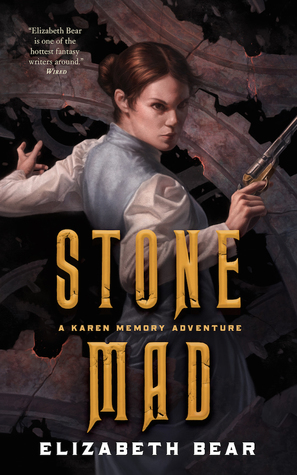 Stone Mad by Elizabeth Bear is a novella set in the the same world as Karen Memory (a great book!) following the eponymous heroine on a new story set in a steampunk/Victorian era-inspired Pacific Northwest. 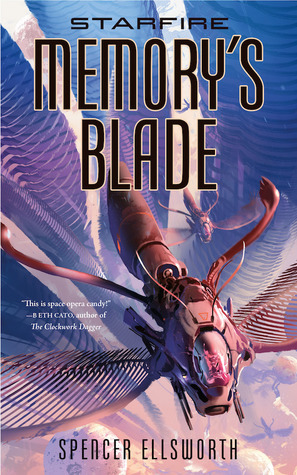 Memory’s Blade by Spencer Ellsworth is the conclusion of the Starfire space opera trilogy. 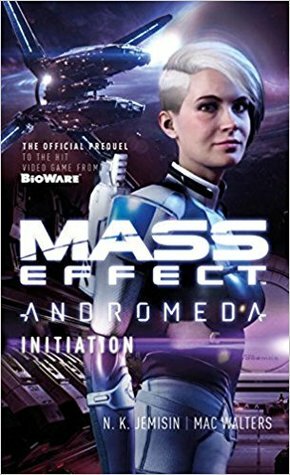 I didn’t even realize the second book had come out! Looks like I have a lot of catching up to do. 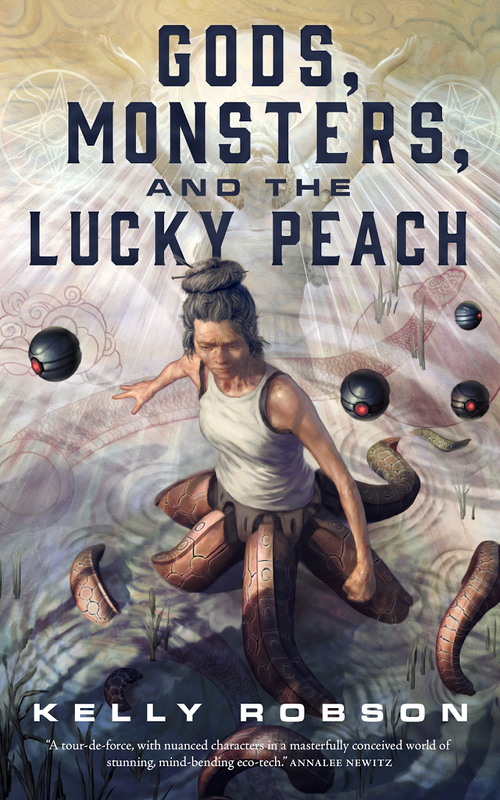 And finally, , Gods, Monsters, and the Lucky Peach by Kelly Robson is an interesting looking sci-fi which seeks to blend time travel with climate fiction and historical fantasy. It’s taken me some time to ease back into my regular reading and reviewing schedule, but I’m getting there. Since the beginning of the year, I’ve managed to finish the following books. A few of them have been reviewed already, with the rest coming soon. Ooh nice! Those are new to me reads! Hope you enjoy each and every one of them! Thank you, I hope you enjoy your new books too! It’s such a quirky title, isn’t it? 😀 I’m curious to see what that one is about! I’m reading The Sky is Yours right now and I LOVE it. BUT it’s not going to work for everyone. It’s very weird, and it’s more character than plot driven. I’m curious to hear what you think! The Chalkman sounds super creepy. I started it today! It’s quite disturbing! 😮 nightmare inducing or just creepy crawly skin feeling? More creepy crawly and uneasy than nightmare inducing, though there are a few pretty disturbing/gruesome scenes. I really enjoyed it! Yes, I’m looking forward to that one. 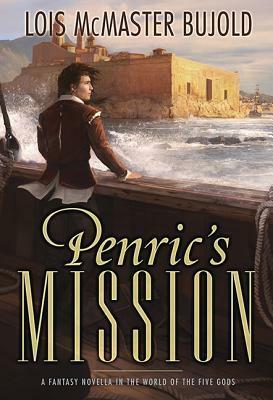 I don’t think I’ve ever read anything by Tim Lebbon, so this collab with Golden should be interesting! 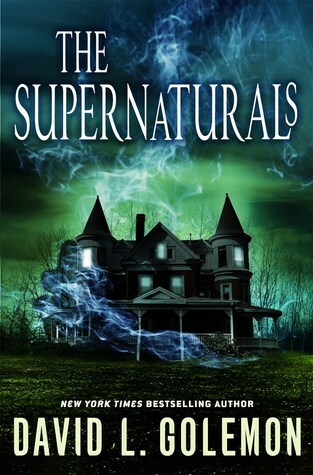 I was in the mood for thriller/mystery so I started it today – so far it’s pretty good! I really need to figure out how to steal your books. 😛 I mean… uh… enjoy! I always look forward to your hauls even though I just KNOW you’re going to add to my wishlist. I hope to start The Chalk Man soon. I have a copy of Mad Hatters and March Hares but haven’t read it yet – go figure. I just couldn’t resist it, I started The Chalk Man today. Haven’t made it that far yet, but so far I’m liking it. Very disturbing! I still haven’t read The Valiant yet! 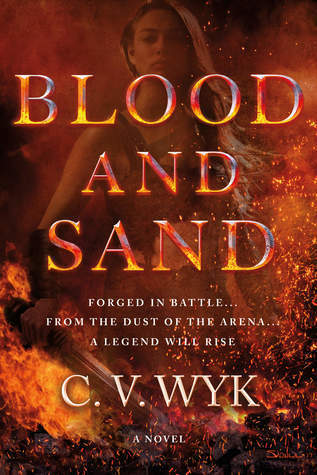 It’s one of those 2017 books I never got around to before year’s end, so seeing that you’ve read the sequel reminds me that I need to make time for it this year. Nemo Rising looks great, and so does the Defiant (I need to read the first one ASAP)! I’ll have to look into Nemo because the idea of a 20,000 Leagues sorta- sequel (and that cover) have me really interested. I thought the same thing about Nemo Rising! 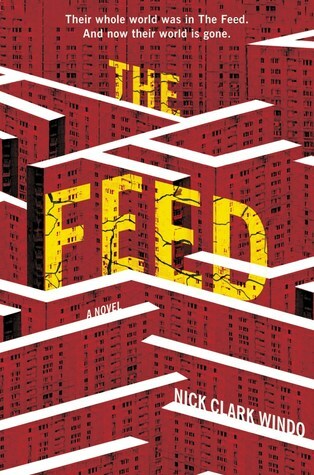 Unfortunately the reviews have been a mixed – but I still want to read it if I have time! I’m looking forward to Ready Player One, too! The first teaser trailer looked so bad – I was really nervous, but the full trailer has me excited again. When I read the book years ago, I really wanted a movie so I could see the world of where he was living brought to life. I have high hopes. Yeah, the first teaser was…how to say this…just a lot of flash? I didn’t see much substance to it, but the full trailer makes me a lot more optimistic! I love these posts. 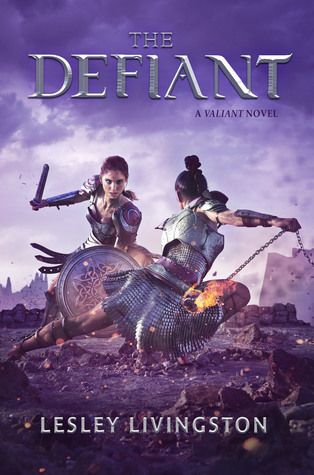 I think the book I’m most excited about is Defiant. Can’t wait for that one. 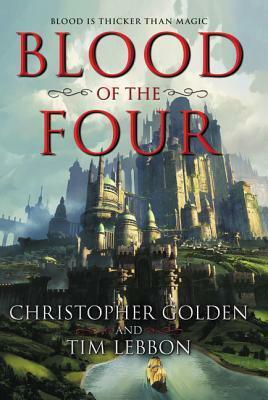 I also like the look of Blood of the Four. I put in a request for The Chalk Man a couple of months ago but never heard back, I liked the sound of it but I think it’s one of those NG requests that has now got forgotten under a pile. I’ll wait for your review and see whether or not I want to add it to my ever growing wishlist. The Defiant was so good! And it’s funny, because I didn’t even know about The Chalk Man (or more like I just wasn’t paying attention) until the book was out. It was really good though, I’m glad I got the chance to listen to the audio. The books is great in that format. Fantastic haul- really looking forward to your thoughts on Chalk Man! I listened to the audiobook last weekend. I really enjoyed it!